Increase in shareholding in CapitaLand Township Development Fund II Pte. Ltd.
Dissolution of Dormant Wholly Owned Subsidiary, Cosmo Villa Sdn. Bhd. Dormant wholly owned subsidiary in members' voluntary liquidation, CVH Sparkle Pte. Ltd.
Increase in shareholding in Siena Residential Development Pte. Ltd. and Siena Trustee Pte. Ltd.
REPL::Establishment of wholly owned subsidiary, Carmel Plus Pte. Ltd. Establishment of wholly owned subsidiary, Carmel Plus Pte. Ltd.
Ascott Residence Trust - "Divestment of Ascott Raffles Place Singapore"
Increase in shareholding in C31 Ventures Fund 1 Pte. Ltd. and C31VF1-001V Pte. Ltd.
Dissolution of dormant subsidiary - ACRJ3 Pte. Ltd.
Increase in registered capital in Guangzhou New Boundary Real Estate Co., Ltd.
Dissolution of dormant wholly owned subsidiary, Radiant III Pte. Ltd.
Increase in registered capital in Guangzhou Li Kai Real Estate Development Co., Ltd. Establishment of subsidiary, Guangzhou Kai Ke Xing Mao Real Estate Development Co., Ltd. Establishment of wholly owned subsidiary, CAP I GP S.a r.l. Establishment of wholly owned subsidiary, CREDO I China GP Pte. Ltd. Establishment of wholly owned subsidiary, Luminosity Real Pte. Ltd. Subscription for 50% Stake in The Work Project Kingdom Pte. Ltd. Establishment of wholly owned subsidiary, CLC Investment Seven Pte. Ltd.
Acquisition of 70% of total issued and paid-up capital in Green Oak Hotel Management Pte. Ltd. Establishment of wholly owned subsidiary - Guangzhou Kai Li Real Estate Co., Ltd. Establishment of wholly owned subsidiary - Green Tembusu Pte. Ltd.
Dissolution of dormant wholly owned subsidiary - Ascott Investments Pte. Ltd.
Increase in shareholding in CMA Excellence Pte. Ltd. Establishment of wholly owned subsidiary - Beijing Kai He De Innovation Technology Co., Ltd.
Dissolution of dormant wholly owned subsidiary, CapitaLand Retail Japan Investments Pte. Ltd.
Change in interest of BlackRock, Inc. and The PNC Financial Services Group, Inc. Establishment of wholly owned subsidiary, CAP I GP Pte. Ltd.
Notice of Valuation of Real Assets::CapitaLand Commercial Trust - "Asset Valuation"
Dissolution of Dormant Wholly Owned Subsidiary - CapitaRetail Gurney Sdn. Bhd. Striking-off of dormant wholly owned subsidiary, Hua De Holdings Pte. Ltd. Establishment of 95%-owned subsidiary, Ningbo Zhongxin Innov Park Development Co., Ltd. Establishment of 50%-Owned Associated Company - Ningbo Xincheng Hotel Management Co., Ltd.
Acquisition of Chongqing Zhonghua Real Estate Co., Ltd.
Increase in registered capital in Chongqing Kai Tai Industry Development Co., Ltd.
CapitaLand Retail China Trust - "Citi ASEAN C-Suite Investor Conference 2018 (26 June 2018)"
Establishment of wholly owned subsidiary, Chongqing Kai Tai Industry Development Co., Ltd.
Dormant Wholly Owned Subsidiary in Members' Voluntary Liquidation - Radiant III Pte. Ltd.
CapitaLand Retail China Trust - "Presentation For PhillipCapital (16 May 2018)"
CapitaLand Mall Trust - "9th Annual dbAccess Asia Conference 2018 (14 May 2018)"
CapitaLand Mall Trust - "Hong Kong Non-Deal Roadshow (9 - 11 May 2018)"
Establishment of wholly owned subsidiary - CL Genesis Investment Pte. Ltd. Establishment of wholly owned subsidiary, CLFMI Pte. Ltd. Establishment of wholly owned subsidiary - CLI Five Pte. Ltd. Establishment of wholly owned subsidiary, CLC Investment Six Pte. Ltd.
Dissolution of dormant wholly owned subsidiary - CapitaLand Asia Pte. Ltd. Establishment of 80%-owned subsidiary - Shi Na Real Estate Agency (Shanghai) Co., Ltd.
CapitaLand Malaysia Mall Trust - "Malaysia-Singapore Non-Deal Roadshow 2018 (March 2018)"
CapitaLand Retail China Trust - "Hong Kong Non-Deal Roadshow 2018 (7 - 8 March 2018)"
Increase in number of shares held in CapitaLand Township Development Fund II Pte. Ltd.
Increase in shareholding in CapitaLand Business Services Pte. Ltd.
CapitaLand Retail China Trust - "Singapore REITs Corporate Access Day, Tokyo (1 March 2018)"
Increase in shareholding - Unicorn Frontier Sdn. Bhd. CapitaLand sets world record for Raffles City Chongqing with highest "horizontal skyscraper"
CapitaLand Mall Trust - "Japan Non-Deal Roadshow (26 - 28 February 2018)"
Increase in issued & paid-up share capital of C31 Ventures Fund 1 Pte. Ltd. & C31VF1-ESVF Pte. Ltd.
Dissolution of Dormant Wholly Owned Subsidiary - Sejati Timur Sdn. Bhd. CapitaLand Retail China Trust - "SGX-REITAS Education Series (6 February 2018)"
Establishment of wholly owned subsidiary Xi'an Kai Zhong Jian Yu Industrial Co., Ltd.
Dissolution of dormant wholly owned subsidiary - Simple Tone Pte. 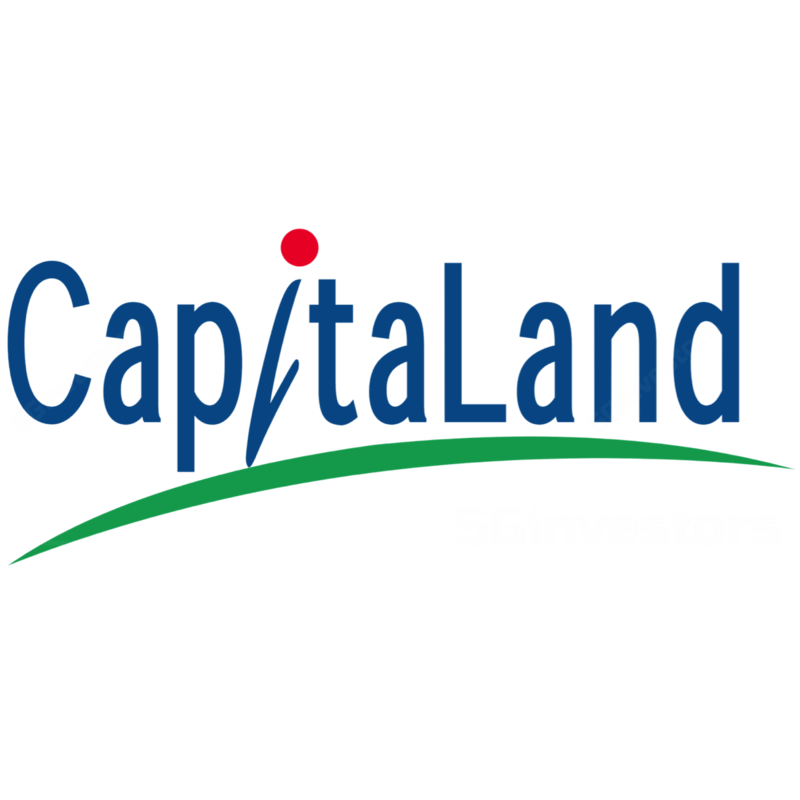 Ltd.
CapitaLand Mall Trust - "S$350,000,000 3.08 per cent. Bonds due 2021"
Dormant Wholly Owned Subsidiary in Members' Voluntary Liquidation - Ascott Investments Pte. Ltd.
Dissolution of dormant wholly owned subsidiary, Foshan CapitaLand Property Management Co., Ltd.
Increase in issued & paid-up share capital of C31 Ventures Fund 1 Pte. Ltd. & C31VF1-001V Pte. Ltd. Establishment of wholly owned subsidiary Shanghai Jinggong Industrial Co., Ltd.
Dormant subsidiary in members' voluntary liquidation - ACRJ3 Pte. Ltd.
Increase in issued and paid-up share capital of CLI Four Pte. Ltd.
News Release - "CapitaLand inks S$10-million innovation partnership with EDB"
CapitaLand Retail China Trust - "Use of Proceeds from Private Placement"
Dormant Wholly Owned Subsidiary in Members' Voluntary Liquidation - Cosmo Villa Sdn. Bhd. Increase in registered capital of Shanghai Zhuju Real Estate Co., Ltd.
CapitaLand Commercial Trust - "Morgan Stanley 16th Annual Asia Pacific Summit (16 November 2017)"
CapitaLand Mall Trust - "Morgan Stanley 16th Annual Asia Pacific Summit (15 November 2017)"
CapitaLand Retail China Trust - "Morgan Stanley 16th Annual Asia Pacific Summit (15 November 2017)"
CapitaLand Mall Trust - "SGX-REITAS Education Series - 13 November 2017 (Key Slides)"
CapitaLand Mall Trust - "Issuance of S$100m fixed rate notes pursuant to the S$3.5b MTN Programme"
Increase in interest in ESPL (M) Sdn. Bhd. CapitaLand Mall Trust ("CMT") - "Payment of Divestment Fee by way of issuance of units in CMT"
Dissolution of dormant wholly owned subsidiary, CapitaLand GCC (Bahrain) Pte. Ltd.
CapitaLand Mall Trust - "USA Non-Deal Roadshow (6 - 9 November 2017)"
CapitaLand Mall Trust - "Completion of Divestment of Victory SR Trust"
Dissolution of dormant wholly owned subsidiary, CapitaMalls Japan Fund Management Pte. Ltd.
Acquisition of 49% interest in Unicorn Frontier Sdn. Bhd. Establishment of 80% owned subsidiary - Synergy Global Housing International Pte. Ltd.
Ascott Residence Trust - "Disclosures pursuant to Rule 704(31) of the Listing Manual of the SGX-ST"
CapitaLand Commercial Trust - "Press release from Moody's Investors Service"
Establishment of 51% owned subsidiary - Ya Tu Residence Management (Shanghai) Co., Ltd.
CCT- "Downgraded to 'BBB+' on increasing leverage following portfolio enhancement; Outlook Stable"
CapitaLand Commercial Trust - "S$700 million Rights Issue - Participating Banks"
CCT - "Golden Shoe Car Park Redevelopment - Unitholders' Loan Agreements and Sponsors' Undertaking"
Increase in issued & paid-up share capital of C31 Ventures Fund 1 Pte. Ltd. & C31VF1-065C Pte. Ltd. Establishment of wholly owned subsidiary, Gold Ruby Pte. Ltd.
Increase in issued and paid-up share capital of CMA Japan Trust One Pte. Ltd.
CapitaLand Commercial Trust - "Completion of Divestment of Wilkie Edge"
CapitaLand Mall Trust - "Australia Non-Deal Roadshow (6 - 7 September 2017)"
Acquisition of the remaining 50% interest in Augite Pte. Ltd.
CCTML - "Appointment of Mr Kevin Chee as CEO, Director and Exco member"
Establishment of wholly owned subsidiary, CVH Nereus Pte. Ltd.
Striking-off of dormant wholly owned subsidiary, Yorksure Pte. Ltd.
Ascott Residence Trust ("ART") - "Payment of management fees by way of issue of units in ART"
Ascott Residence Trust ("ART") - "Payment of acquisition fee by way of issue of units in ART"
Striking-off of dormant wholly owned subsidiary, StorHub (Songjiang) Holding Pte. Ltd.
CapitaLand Commercial Trust - "Divestment of Wilkie Edge"
Ascott Residence Trust - "Divestment of 100% owned subsidiaries in China"
News Release - "Opening of four landmark integrated developments in China"
News Release - "Ascott surpasses 100th property milestone in China with seven new properties"
Dissolution of dormant wholly owned subsidiary, Xin Yue Property (Shanghai) Co., Ltd.
Ascott Residence Trust - "Use of proceeds from rights issue"
CapitaLand Commercial Trust - "Completion of the sale and contribution of One George Street"
Dissolution of dormant wholly owned subsidiary - Guangzhou Slamet Property Co., Ltd.
Dormant wholly owned subsidiary in members' voluntary liquidation - CapitaLand Asia Pte. Ltd.
News Release - "Ascott's latest lyf brand trailblazes with three properties in China and Singapore"
Striking-off of dormant wholly owned subsidiary, StorHub (Songjiang) Property Pte. Ltd.
News Release - "CapitaLand sees potential to double Japan AUM to S$5 billion"
CapitaLand Commercial Trust & CapitaLand Mall Trust - "US$2,000,000,000 EMTN Programme of RCS Trust"
Dissolution of dormant wholly owned subsidiary-Xi'an Rende Commercial Facility Management Co., Ltd.
Ascott Residence Trust - "Acquisition of a third property in New York, United States of America"
Dissolution of dormant wholly owned subsidiary, CapitaLand RECM Pte. Ltd.
Dissolution of dormant subsidiary, ACRJ3 Investments Pte. Ltd. Establishment of wholly owned subsidiary, CVH Summer Pte. Ltd.
CapitaLand Commercial Trust - "Citi ASEAN C-Suite Investor Conference 2017, Singapore (25 May 2017)"
Establishment of associated company, Guangzhou New Boundary Healthcare & Medical Industry Co., Ltd.
CapitaLand Commercial Trust - "Presentation Slides - dbAccess Asia Conference 2017 (16 May 2017)"
Ascott Residence Trust ("ART") - "Payment of Directors' Fees by way of units in ART"
Presentation Slides - "dbAccess Asia Conference 2017, Singapore (15 May 2017)"
CapitaLand Mall Trust - "dbAccess Asia Conference 2017 (15 May 2017)"
CapitaLand Commercial Trust ("CCT") - "Payment of Directors' Fees by way of units in CCT"
CapitaLand Mall Trust - "Hong Kong Non-Deal Roadshow (10-12 May 2017)"
Increase in registered capital of Guangzhou New Boundary Real Estate Co., Ltd.
CapitaLand Mall Trust - "Payment of Directors' fees by way of units in CapitaLand Mall Trust"
CapitaLand Commercial Trust ("CCT") - "Payment of management fee by way of issue of units in CCT"
CapitaLand Commercial Trust - "One George Street"
Ascott Residence Trust - "Completion of divestment of eighteen rental housing properties in Japan"
Ascott Residence Trust & CapitaLand Mall Trust - "Appointment & Cessation of CEO of REIT Managers"
News Release- "Key executive appointments to support next phase of leadership & business excellence"
CapitaLand Commercial Trust - "Presentation slides for Annual General Meeting held on 18 April 2017"
Ascott Residence Trust - "Divestment of eighteen rental housing properties in Japan"
CapitaLand Mall Trust - "Presentation slides for the Annual General Meeting held on 13 April 2017"
Establishment of wholly owned subsidiaries-(1) Aspinden Investment Pte. Ltd. (2) Aspinden Pte. Ltd.
CapitaLand Commercial Trust - "Maybank-Kim Eng Invest ASEAN 2017 Singapore (22 March 2017)"
Establishment of wholly owned subsidiary, CVH Solar Pte. Ltd.
Ascott Residence Trust - "Lodgement and despatch of offer information statement"
Ascott Residence Trust - "Issue and despatch of circular"
Establishment of wholly owned subsidiary, CVH Northstar Pte. Ltd.
CapitaLand Commercial Trust, CapitaLand Retail China Trust, Ascott Residence Trust - "Appointments"
Establishment of wholly owned subsidiary, CVH Sunbright Pte. Ltd. Establishment of wholly owned subsidiaries - (1) C31VF1-065C Pte. Ltd. (2) C31VF1-ESVF Pte. Ltd. Establishment of wholly owned subsidiary, Ningbo Xinjia Property Co., Ltd.
Dissolution of dormant wholly owned subsidiary, Ningbo Xin Feng Property Development Co., Ltd.
Dormant wholly owned subsidiary in members' voluntary liquidation, Simple Tone Pte. Ltd.
Dormant wholly owned subsidiary in member's voluntary liquidation, CapitaLand RECM Pte. Ltd.
Dormant wholly owned subsidiary in members' voluntary liquidation, Sejati Timur Sdn. Bhd. Presentation Slides - "CapitaLand Analysts/Media Trip 2016"
CapitaLand Commercial Trust - "Morgan Stanley 15th Annual Pacific Summit, Singapore (16 Nov 2016)"
Increase in registered capital of CapitaMalls Beijing Business Co., Ltd. Establishment of wholly owned subsidiary, Ascott Eight Pte. Ltd.
Striking-off of dormant wholly owned subsidiary, CapitaLand Retail (BJ) Investments Pte. Ltd.
News Release - "Ascott Charts Record Growth In China"
Increase in registered capital of Beijing Jiade Xinyuan Commercial Property Co., Ltd.
CapitaLand Commercial Trust - "Presentation slides on SGX REIT Day, Tokyo, Japan (27 October 2016)"
Increase in share capital of (1) C31 Ventures Fund 1 Pte. Ltd. (2) C31VF1-001V Pte. Ltd.
News Release - "CapitaLand sets up US$1.5 billion Raffles City China Investment Partners III"
CapitaLand Mall Trust - "Completion of Sale of Office Strata Units in the Office Tower at Westgate"
CapitaLand Commercial Trust - "CCT seeks approval to redevelop Golden Shoe Car Park"
Ascott Residence Trust - "UOB Kay Hian Asian Gems Conference 2016 (12 October 2016)"
Dormant subsidiary in member's voluntary liquidation, CapitaLand GCC (Bahrain) Pte. Ltd. Establishment of wholly owned subsidiary, CapitaLand Trustee Pte. Ltd.
CapitaLand Commercial Trust - "Payment of acquisition fee by way of issuance of units in CCT"
Dissolution of dormant wholly owned subsidiary, Beijing Xin Xu Real Estate Development Co., Ltd.
Dormant whollyowned subsidiary in members' voluntary liquidation-Guangzhou Slamet Property Co., Ltd.
Striking-off of dormant wholly owned subsidiary, CapitaLand (Sichuan) Holdings Pte. Ltd. Establishment of wholly owned subsidiary, C31VF1-001V Pte. Ltd.
CapitaLand Mall Trust - "Bangkok Non-deal Roadshow (3-4 August 2016)"
Notice of Valuation of Real Assets::CapitaLand Retail China Trust - "Asset Valuation"
Ascott Residence Trust - "Non-Deal Roadshow, South Korea (27 - 28 July 2016)"
Increase in issued and paid-up share capital of StorHub Kallang Pte. Ltd.
Notice of Valuation of Real Assets::CapitaLand Mall Trust - "Asset Valuation"
Notice of Valuation of Real Assets::Ascott Residence Trust - "Asset Valuation"
Notice of Valuation of Real Assets::CapitaLand Malaysia Mall Trust - "Revaluation of Properties"
CapitaLand Retail China Trust - "Renewal of the property management agreements"
Dormant Subsidiary in Members' Voluntary Liquidation, CapitaMalls Japan Fund Management Pte. Ltd.
CapitaLand Commercial Trust & CapitaLand Mall Trust - "Refinancing for RCS Trust"
CapitaLand Commercial Trust - "Nomura Investment Forum Asia 2016 (8 June 2016)"
CapitaLand Commercial Trust - "Citi ASEAN C-Suite Forum 2016 (1 June 2016)"
CapitaLand Mall Trust - "Citi ASEAN C-Suite Forum 2016 (1 June 2016)"
Dormant subsidiary in Members' voluntary liquidation - ACRJ3 Investments Pte. Ltd. Establishment of wholly owned subsidiary, StorHub Kallang Pte. Ltd.
CapitaLand Mall Trust - "Presentation slides for 7th Annual dbAccess Asia Conference - 23 May 2016"
CapitaLand Retail China Trust - "Disclosure pursuant to Rule 704(31) of SGX-ST Listing Manual"
Dissolution of dormant wholly owned subsidiary, Hangzhou CapitaLand Property Management Co., Ltd.
Dissolution of dormant wholly owned subsidiary, CapitaLand Bahrain Bay Management Pte. Ltd. Establishment of wholly owned subsidiary, Ascott Serviced Residence (Australia) Investment Pte. Ltd.
CapitaLand Retail China Trust ("CRCT") - "Payment of Directors fees by way of units in CRCT"
CapitaLand Mall Trust - "Payment of base component of management fee by way of issue of units"
CapitaLand Malaysia Mall Trust - "Dealings in listed securities (Chapter 14 of Listing Requirements"
CapitaLand Commercial Trust- "Payment of base component of management fee by way of issue of units"
CapitaLand Malaysia Mall Trust ("CMMT") - "Additional issuance and listing of new CMMT units"
Ascott Residence Trust - "Chairman and CEOs' speeches at Ascott Reit's 10th Anniversary Dinner"
CapitaLand Commercial Trust & CapitaLand Mall Trust - "Entry into facility agreements by RCS Trust"
Ascott Residence Trust - "Presentation slides for AGM held on 14 April 2016"
Striking-off of dormant wholly owned subsidiary, Winsvale Investments Pte. Ltd.
CapitaLand Commercial Trust - "Presentation slides for the AGM held on 13 April 2016"
Increase in registered capital of Shanghai CapitaLand Property Management Co., Ltd.
News Release - "Ascott Unveils The Crest Collection"
CapitaLand Mall Trust - "Amendments to the Trust Deed"
CapitaLand Mall Trust - "Presentation slides for AGM held on 12 April 2016"
CapitaLand Retail China Trust - "Presentation slides for AGM held on 11 April 2016"
Establishment of wholly owned subsidiary, Deep River Investment Pte. Ltd.
Ascott Residence Trust - "Payment of Directors' fees by way of units in Ascott Residence Trust"
Establishment of wholly owned subsidiary, Ascott Orchard Management (S) Pte. Ltd.
Ascott Residence Trust - "Ascott Residence Trust private placement - Use of proceeds"
Ascott Residence Trust - "S$120,000,000 4% Notes due 2024 issued under its S$1B MTN Programme"
Striking-off of dormant wholly owned subsidiary, CapitaLand China Trust Company Pte. Ltd.
Ascott Residence Trust ("ART") - "Close of private placement of 94,787,000 new units in ART"
REPL::Ascott Residence Trust - "Acquisition of a second property in New York, United States of America"
Ascott Residence Trust - "Acquisition of a second property in New York, United States of America"
Increase in issued and paid-up share capital of CapitaLand Voucher Pte. Ltd.
Increase in issued and paid-up share capital of Urbanco One Pte. Ltd.
CapitaLand Commercial Trust - "Presentation for Investor Meetings in Hong Kong - 2-4 March 2016"
CapitaLand Malaysia Mall Trust - "Award of contract to a related party"
Establishment of wholly owned subsidiary, CapitaLand (China) Corporate Management Co., Ltd.
Dissolution of dormant wholly owned subsidiary, Willow Australia Pte. Ltd.
Divestment of wholly owned subsidiary, Somerset Zhongguancun (S) Pte. Ltd. Establishment of wholly owned subsidiaries - (1) CL Concorde Pte. Ltd. (2) Urbanco One Pte. Ltd.
CapitaLand Retail China Trust - "Disclosure pursuant to Rule 704(31) of the Listing Manual"
CapitaLand Mall Trust ("CMT") - "Payment of management fee by way of issue of units in CMT"
Dissolution of dormant wholly owned subsidiary, CCIH Pte. Ltd.
News Release - "CapitaLand recognised as sustainability leader in global real estate industry"
Ascott Residence Trust - "Tax rulings in relation to the S$250M Fixed Rate Perpertual Securities"
Ascott Residence Trust - "Increase in shareholding in subsidiary, PT Bumi Perkasa Andhika"
Ascott Residence Trust - "Redemption of S$150,000,000 3.80% Fixed Rate Notes due 2015"
CapitaLand Mall Trust -"Completion of divestment of Rivervale Mall"
Presentation Slides - "CapitaLand Media & Analysts' China Familiarisation Trip 2015"
CapitaLand Malaysia Mall Trust-"Dealings in listed securities (Chapter 14 of Listing Requirements)"
CapitaLand Commercial Trust - Presentation slides for "Investor Meetings in Europe-9 to 13 Nov 15"
Establishment of subsidiary, Global Apartments Co., Ltd.
Ascott Residence Trust - "Divestment of Salcedo Residences Units"
Establishment of wholly owned subsidiary - CapitaLand Voucher Pte. Ltd.
REPL::News Release - "CapitaLand steps up momentum in Vietnam with eighth residential development"
News Release - "CapitaLand steps up momentum in Vietnam with eighth residential development"
CapitaLand Mall Trust - "Change in use and final update on use of proceeds of private placement"
News Release - "Ascott strengthens market leadership in Southeast Asia with debut in Cambodia"
Acquisition of Guangzhou Municipal Xin Kai Zhong Li Real Estate Development Co., Ltd.
CapitaLand Mall Trust - "Sale of Rivervale Mall"
News Release - "Ascott more than triples units added in Southeast Asia"
REPL::Ascott Residence Trust - Presentation slides on "POEMS 4Q15 Market Outlook Seminar"
CapitaMalls Malaysia Trust - "Share Registrar - Change of Registrar Address"
CapitaLand Mall Trust Management Limited - "Use of proceeds of private placement"
Ascott Residence Trust - "Divestment of six rental housing properties in Japan"
News Release - "Ascott continues growth momentum with four new contracts in Asian cities"
CapitaLand Commercial Trust - "UBS ASEAN Conference 2015 - 2 September 15"
CapitaMalls Malaysia Trust - "Additional Issuance and Listing of new CMMT units"
CapitaLand Commercial Trust - "Macquarie ASEAN Conference 2015 - 26 August 2015"
CapitaLand Retail China Trust - "Macquarie ASEAN Conference 2015 - 24 August 2015"
Ascott Residence Trust - "Macquarie ASEAN Conference 2015 - 24 August 2015"
CapitaLand Mall Trust - "Presentation slides on the proposed acquisition of Bedok Mall"
Ascott Residence Trust - "Completion of the acquisition of a hotel property in New York, USA"
CapitaLand Mall Trust - "Rivervale Mall"
Ascott Residence Trust - "Presentation slides for UOB Kay Hian Meet the CEO Seminar on 20 Aug 2015"
Dissolution of dormant wholly-owned subsidiary, RHL (Management) Pte. Ltd.
News Release - "CapitaLand to boost digital efforts with technology stalwarts"
Acquisition of remaining redeemable preference shares in CapitaLand China Development Fund Pte. Ltd.